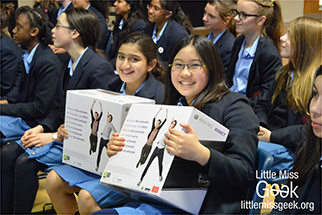 On Friday 8th March 2013 (International Women’s Day), three very excited ladies from Media Molecule attended the Little Miss Geek ICT School Takeover Event held at Queen Elizabeth’s Girls’ School and St. Saviour’s & St. Olave’s in London. The purpose of the day was to inspire and provide an insight to girls in year seven about what it’s like to work in technology. 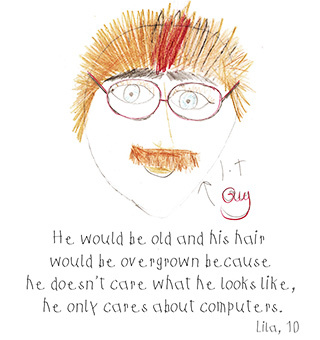 But what is Little Miss Geek I hear you shout? Little Miss Geek is a non-profit, social arm of Lady Geek founded by Belinda Parmar. The problem we have is that the technology industry is suffering from a gender imbalance at the moment and the numbers of women involved are declining every year. “Women only make up 17% of the UK’s tech workforce and this has been falling by 0.5% each year = we need to encourage more women to want to work in the tech industry. From Media Molecule, Siobhan Reddy (our Studio Director) Naomi Summerscales (Artist) and I (Jamie Adams - QA Technician) went on an adventure from Mm towers in Guildford to London to inspire girls to love technology as much as we do! We held a games design workshop for the girls at each school, taking with us our gameplay editor that we are currently using to make our new game Tearaway on. This in itself, was a special moment for us as not only had it never before been taken out of the studio, but the girls would have a rare chance to use the tool that no one else outside of Mm will ever use (as creating levels is not going to be a feature of Tearaway). We were also lucky to have a very special guest at Queen Elizabeth’s School, Rhianna Pratchett, games writer on the brand new Tomb Raider game who was on hand to talk about game narrative. After introducing ourselves and our roles at the studio, we gave the girls just 30 minutes to create their very own levels that they could then play using a PS3 controller. The girls worked in pairs and were given a very basic level with a small set of creatures and objects that they could use to customise and make the level their own. Inquisitive and energetic, they needed very little encouragement from us to get excited about creating their first ever game level. After 10 minutes they seemed to get the hang of game design, as they began selecting random options to see what effect they would have and bringing in different objects into their level as they wanted more creatures/objects to play with. After creating their levels we did a show and tell, going over to each desk, each group explained what they had done, the gameplay they had created and the story/background of their level. How long does it take to make a game/game level? How long do you test a game level? 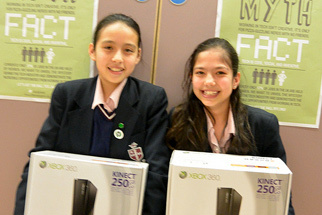 We then were given the difficult task of selecting just one pair of girls from each school that had the best level to receive a games console as a prize. It was a difficult decision but we selected the girls that showed not only skill, but a large amount of enthusiasm and excitement when they were creating their level. So why are events like these important? We got very much involved with this event as it struck a very personal chord with us. We have a strong team of women at Media Molecule and we all feel very passionately about the importance of investing in the future of women in technology. Without events like Little Miss Geek, we may struggle to reach the audiences we need. Girls aspiring to work in technology need successful role models in order to inspire them and give them the confidence that they can make it in this field. 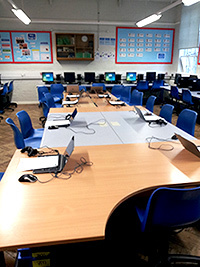 We just hope that the year seven students we met were as inspired by us as we were by them. Being women in technology it’s our responsibility to inform and inspire the younger generation so that they have all the information they need to decide what career path they want to take. The earlier they learn this, the better; as they can then focus their learning in school/university and can leave with the correct qualifications that match the job they want. If you want to find out more about both Lady Geek and Little Miss Geek, then you can visit their websites at ladygeek.com and littlemissgeek.org.